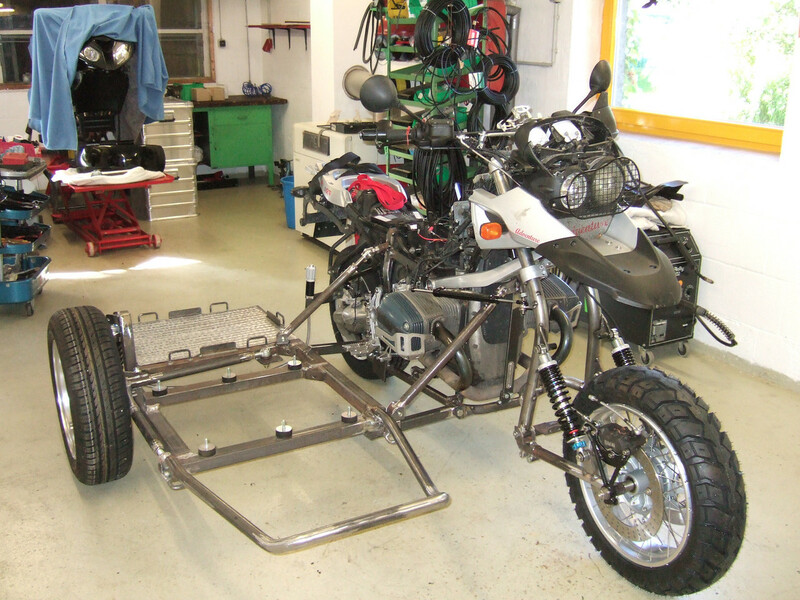 April 2012 - the first question: Which bike to choose for the sidecar R100GSPD or R1150GSA? At that time I owned a R100GSPD with a sidecar and a R1200GSA. The R1200GSA was instantly out of the race. I had one as a rental bike in NZ in 2011. After a day's ride we stopped at our hotel and when I wanted to start the bike again it did not do anything. It was also not possible to jump-start the bike. Obviously the CAN-bus is very sensitive when it comes to the battery voltage and does not allow starting the bike unless the voltage is within a certain range. Sorry BMW, this bike is not made for adventures with no service station around for hundreds of kilometres. Back to the R100GSPD. The way this bike was built, it was only good for asphalt streets and easy gravel roads – nothing for a little more heavier terrain. Neither was it suitable for carrying all the dogs and our luggage for this journey. A new frame and a new boat were required one way or the other – so its all about the bike itself: to buy a used R1150GSA or to use my R100GSPD. There would have been some work needed to make the PD ready to go (generator, ignition, clutch, kardan, front fork, back tyre with new brake and size for car tyre, smaller first gear). 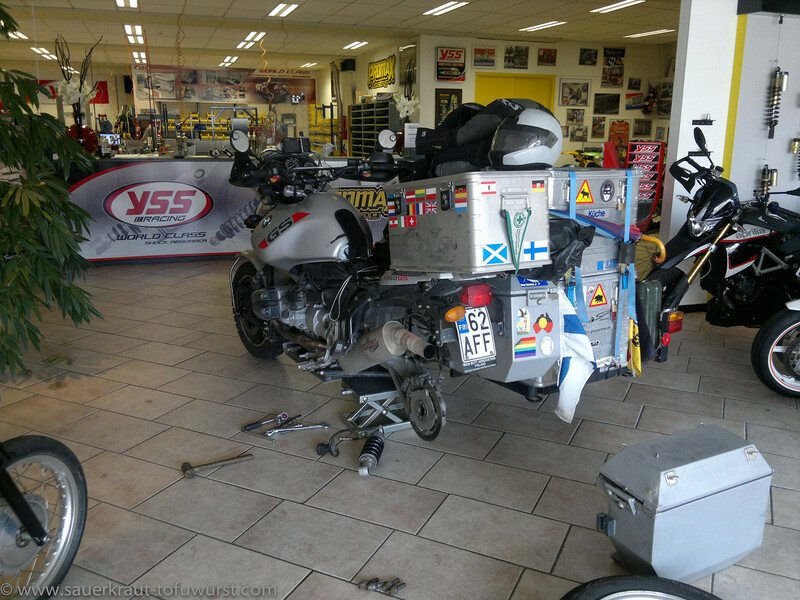 If I would buy a R1150GSA, I would also need to do some modifications (clutch, rear shock, front fork, remove ABS, exchange end-drive from 850, buy a tester device for ignition, exhaust pipe). I had both bikes for many years and they served me both well, so it was a tough decision. However the advantage with the 1150 would be more power, injection (ok - also a disadvantage due to electronics), newer bike and a much (much!!!) better sitting position. 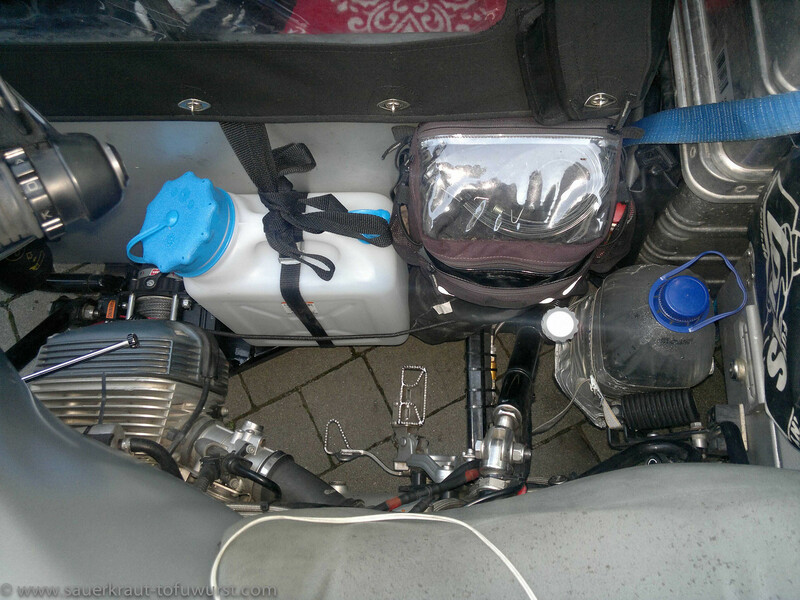 Those were the factors which lead to the decision to go ahead with a R1150GS Adventure. The next question was which one? Early or late modelyear? How many km shall be ok? What extras are needed? Which gearbox is used? And so on and so on …. Here are my few findings. 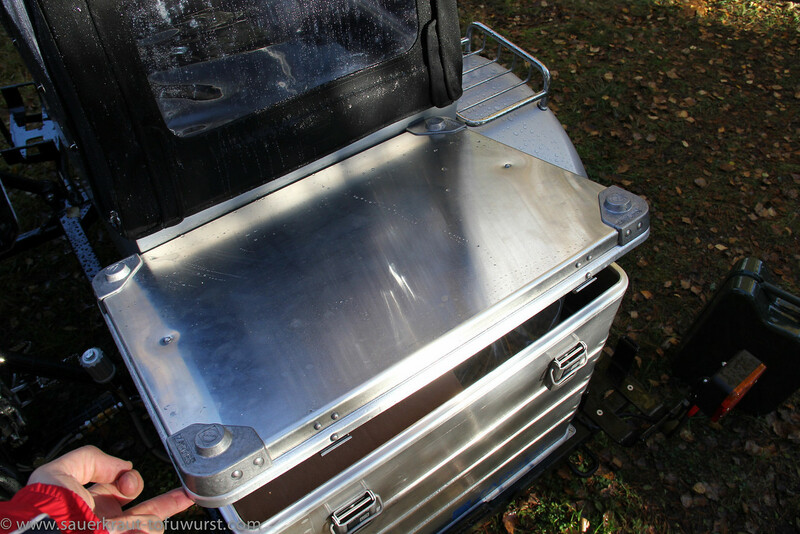 Additional thoughts from 23Jan13: I think it would have been easier and cheaper to get a R1150GS from Finland and take the Touratech 40l fuel tank (I really missed that). 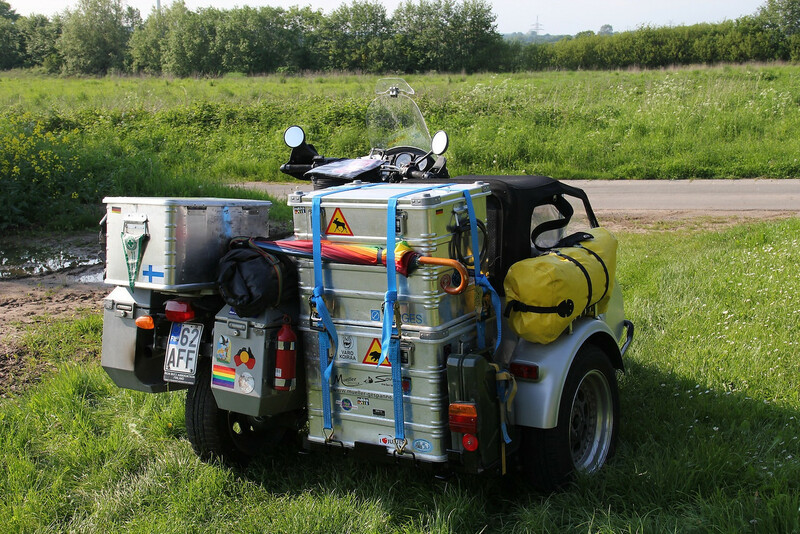 The Adventure 30l tank is not that big for a sidecar. The front fork was replaced and the rear suspension changed. In the end, I think all "Adventure" advantages were either removed or not advantage enough. And some more thoughts from last week: The GS might only have a 40A generator, the GSA has always 50A version. The GS does not come with a GAN - gearbox. If a GS gearbox is used, the difference from short first gear to normal second gear might be rather big. With a GAN gearbox and long sixth gear, the difference between fifth and sixth gear is more manageable. So GSA was a good decision after all. The transmission ration appears crucial on such a journey - there are mountains to climb and rough terrain to be mastered and I might get stuck with the sidecar. Also fuel consumption needs to be watched. One advice which made sense to me was that the ratio can never be short enough. I decided to go with the GAN gearbox (short first gear), in combination with a rear-axle-drive from the R850GS (ratio 37/11 part number: 33112330973 or 33112330974 with ABS). The change from 150/70R17 to 175/75R15 has no impact to the ratio. In order to reduce fuel consumption, I change the sixth gear from the original short to a long version (The long/normal sixth gear is standard in other GS gearboxes). 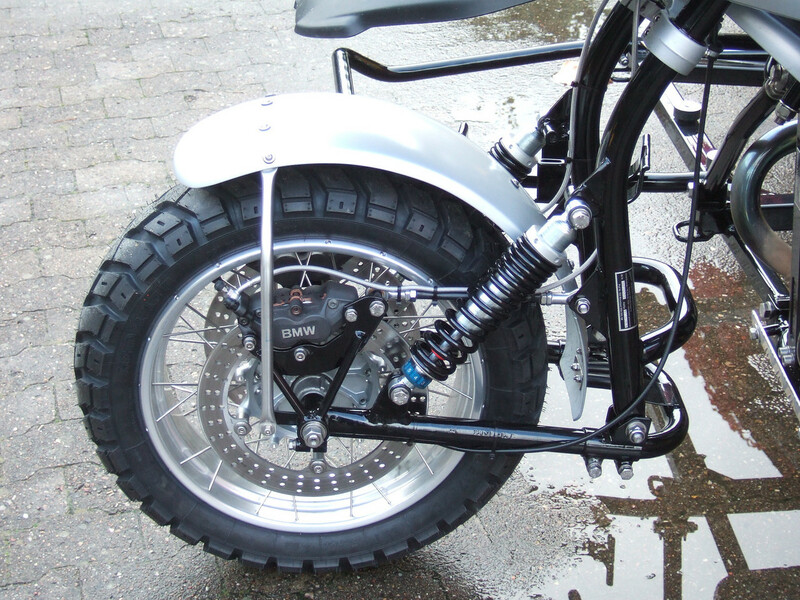 In hindsight, the change towards the 850GS rear axle drive was an excellent decision. I recommend this for anybody who wants to go offroad with this monster. Also the change of the sixth gear had a significant impact on the fuel consumption. After one ride in lousy weather, the frame started to rust badly. I realized my selfpainting attempt did not succeed. I needed to take it to a real paint shop. The next decisions - which boat and where to built it? 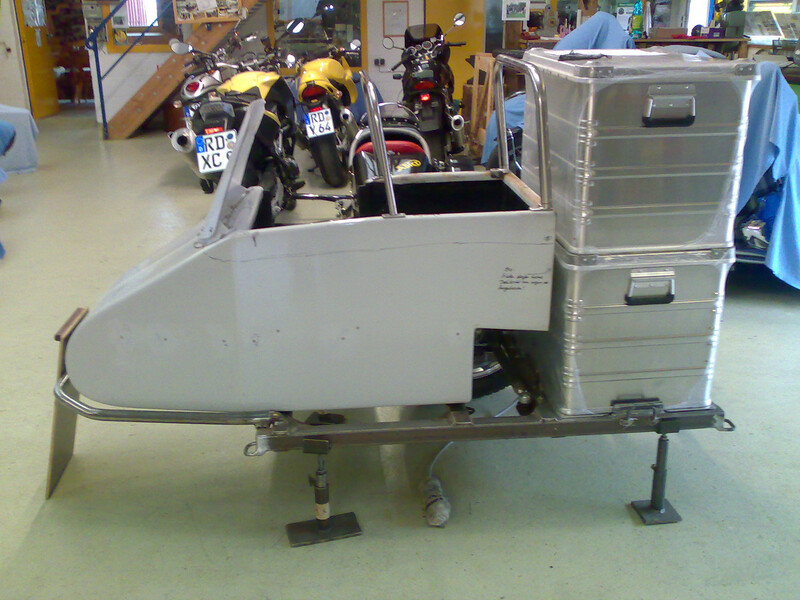 Another major issue was to find a reliable company which can build the sidecar. I did not find any firm in Finland which would build sidecars as a profession. Most companies do it as a "hobby", some people built it by themselves, none of those options were feasible for me. 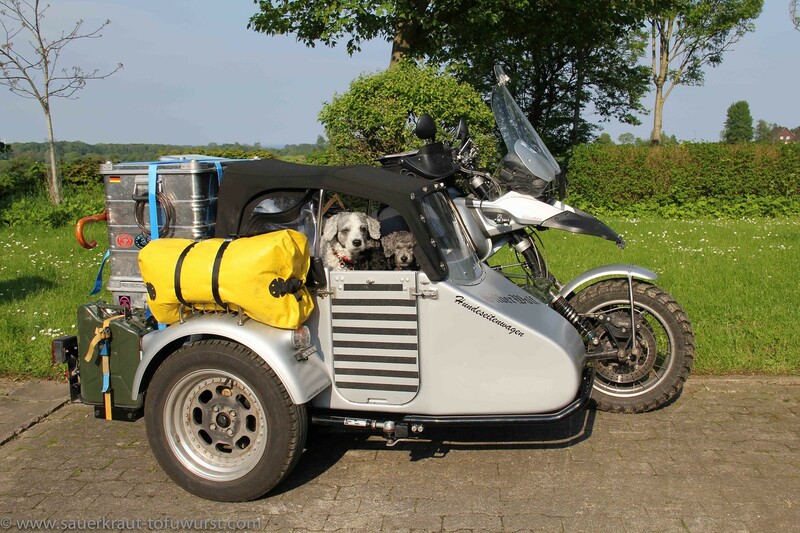 So back to Germany - the land of sidecars and sidecar builders (it would be also easy with the language). I contacted many firms in Germany. Some told me instantly that they are busy, others were so kind and informed that they do not build such kind of sidecars. I also had a longish talk with Martin F. who explained me many things, gave me several good advices and helped me in making my decisions. In the end I needed to choose from two firms. Since one firm (Mueller-Gespanne) did respond to my emails and answered my phone calls, I went with Elsbeth and Peter. The other firm had a many days delays in answering emails and I could not reach the people by phone for days - so no thanx. Back to the sidecar. Of course the Mobec boat needed a few modifications since we do not have a human passenger. Instead there will be three sweet little dogs and a need for plenty of storage room. One 10l reserve canister could fit here? In my previous sidecar, we needed to lift our girls always in and out of the boat. This was not a solution for the future. 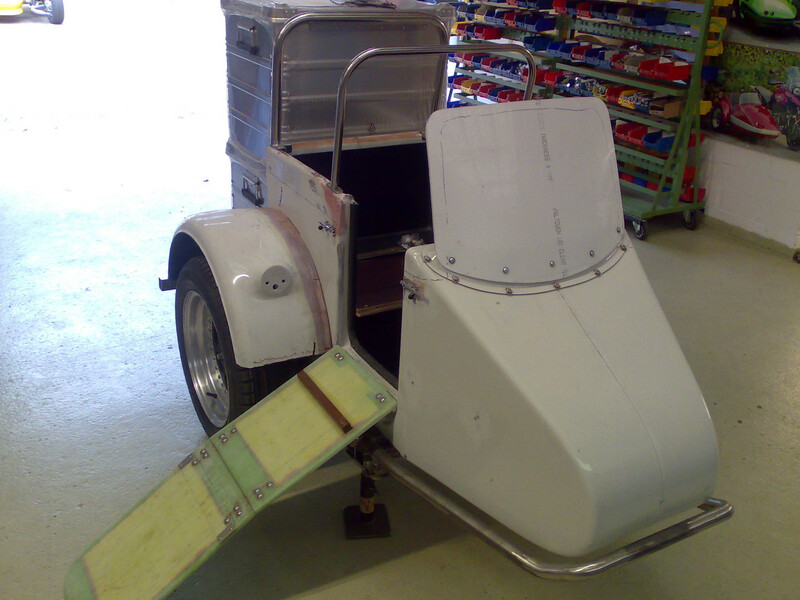 When I saw the Mobec boat, I got the idea to have a ramp like an aeroplane (like the one from Ryanair). The ramp is attached to the boat, and closes the boat so that the dogs cannot escape during riding. When the ramp is open, the dogs can use it to enter and climb out of the boat by themselves. The idea was realised with the modification that the ramp now folded so that it is longer and not too steep. During the long Finnish winter... planning continues as well as some other modifications like the rear-axle-drive, Xenon lights, day-driving lights, clutch, gearbox etc. 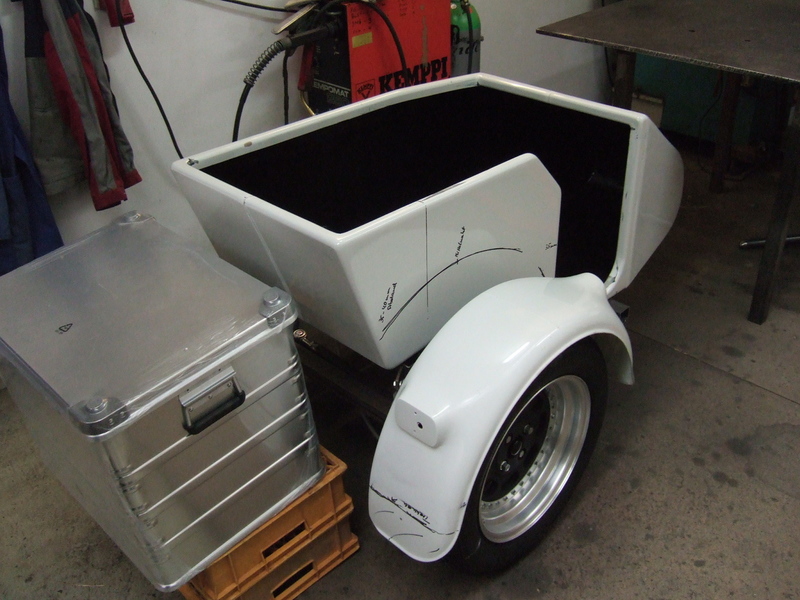 With all those items and a few small other ones (mounting the winch, improving the rear suspension), we went again to Müller Gespanne and stayed for almost two weeks there in order to fix them (It took so long because the frame required re-painting). 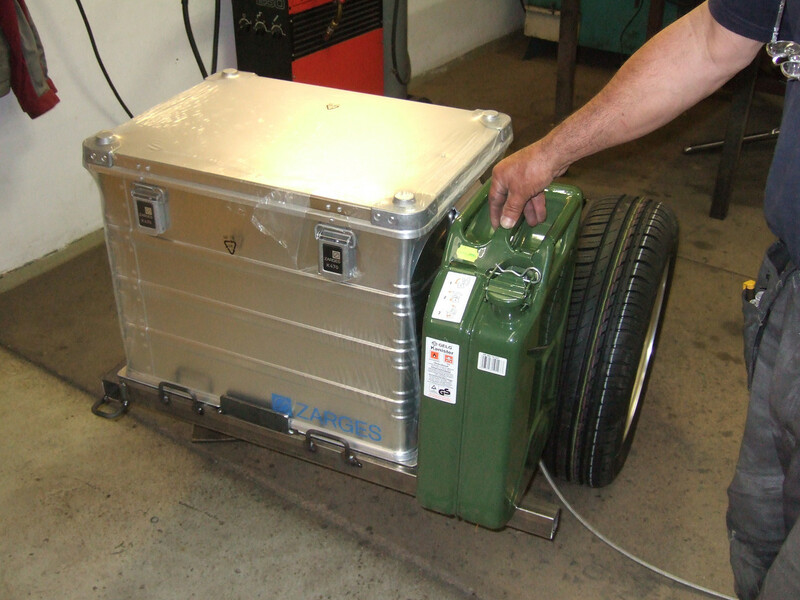 On the way to there, I noticed that our belts, which hold the big alu cases are not of good quality, so I got some proper ones for professional use (see also some earlier post). Since I met Skippy again in Neumünster (she was there for her black belt exam), I decided to pop by Müller Gespanne again. The sidecar wheel did look a little bit out of line. 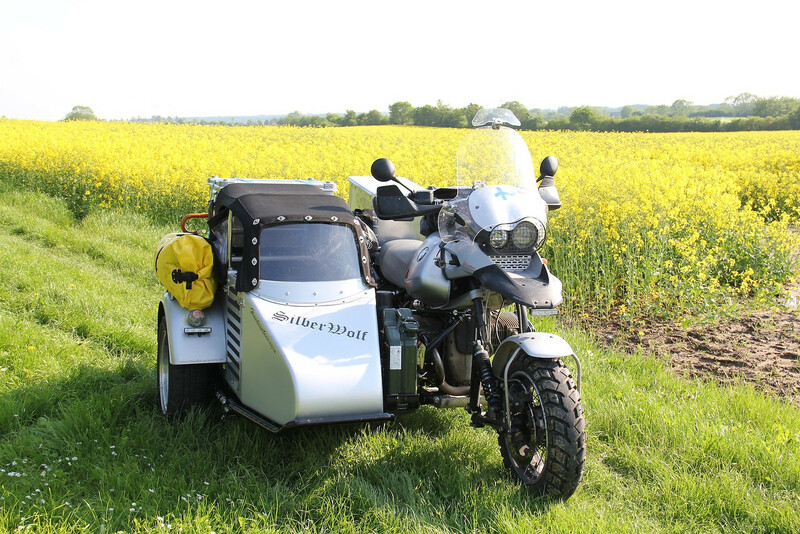 Peter and Elsbeth told, that the load is quite heavy and in the end, we decided to change the spring at the sidecar suspension. 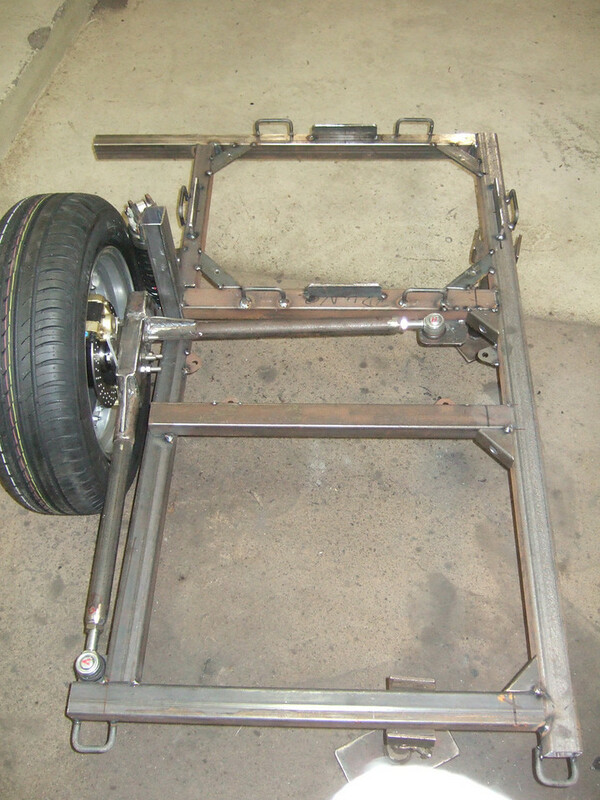 They also noted that the rear suspension seemed not to be able to hold the load either and suggested to visit the firm which has done the rear suspension. So, off we went to visit a little town close to the dutch border. Instead of going East, we went west and a few days later we were at this company. 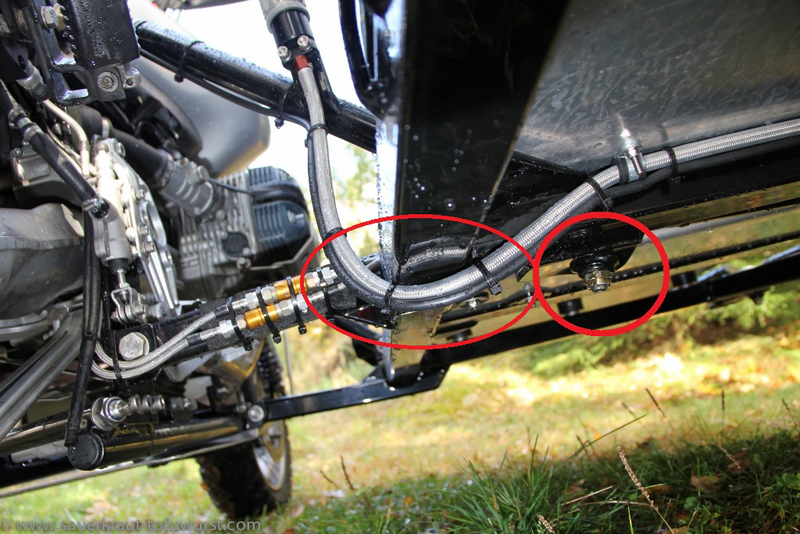 Pretty soon it became obvious that a much stronger rear shock needs to be used. The original option to "only" change the spring would have not been sufficient. Lucky for me, they told they were able to build one the next day. The rear shock came so late in the afternoon of the next day, that I was suppose to come the following day in the morning (good for us we had booked the hotel long enough). However and for some strange reasons, this shock did not fit into my standard (and to my knowledge not modified) rear frame even though the same shock was built and installed into other GSs. Instead of having a day off and "I'll be back soon", I drove across the border to Netherlands to visit the shock building company myself and they could see what is the problem. I was not happy since I did not want to spend time this way and I had a feeling of wasting my time with this stuff. Please ask if you have further questions, now after riding for 1000+days and crossing Latin America I have a few specific ideas how to do things different. I am from the uk and looking to follow a similar path to yourself. I have 3 dogs and would enjoy taking them with me on trips. After all your experience with the rig. 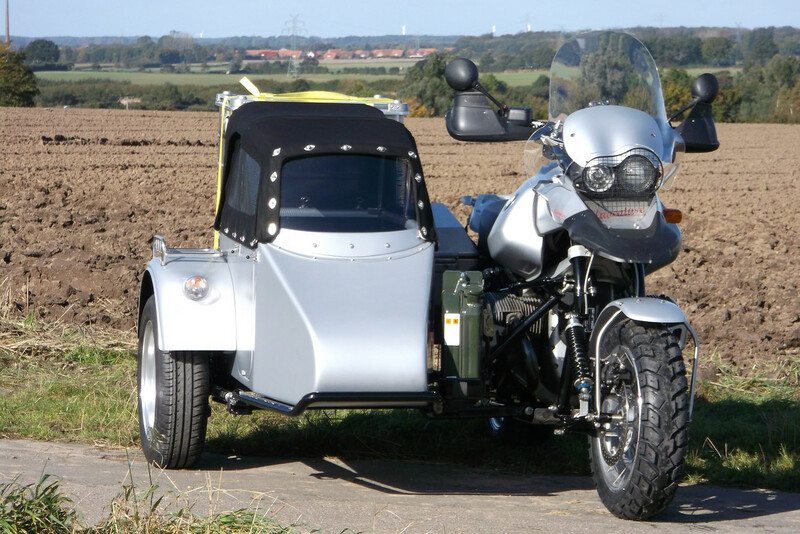 Would you choose the same bike and sidecar again?? I would enjoy having a human passenger as well as canine ones. So could not modify the sidecar to the same degree as yourself. 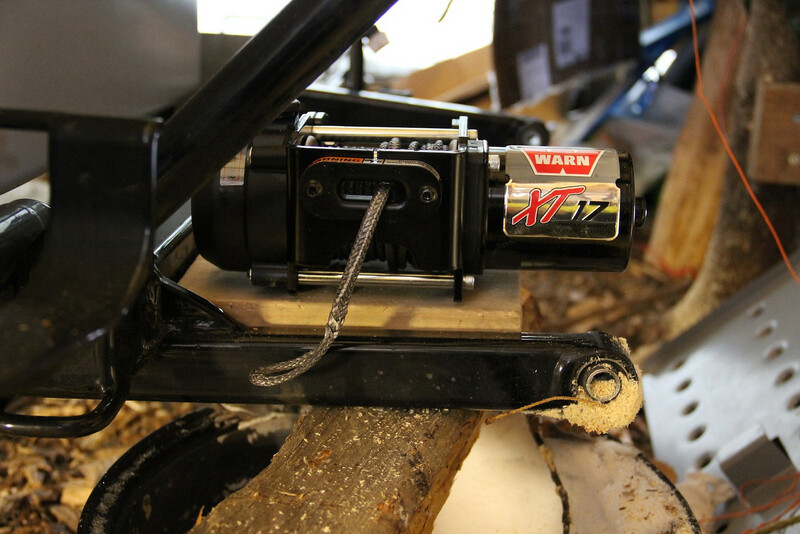 Does the shaft drive make life easier for you as a shaft/bearings etc are quite difficult to replace when they go wrong compared to a chain. Howdy, taking dogs with is a different kind of travel and to me much more rewarding :) Anytime again with the dogs. 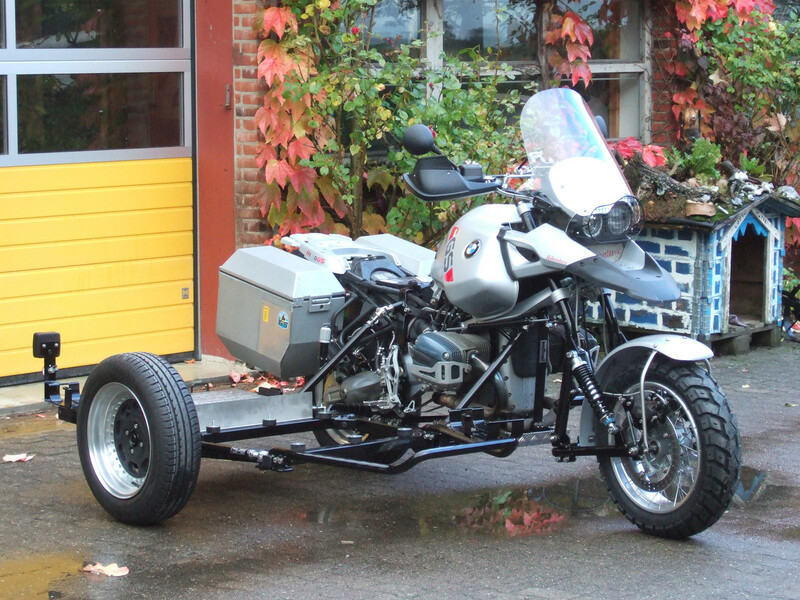 Would you choose the same bike and sidecar again?? No, the BMW is not made for such heavy roads. I assume no off-the-shelf bike is (even solo off-road bikes disintegrated on those roads). So problem areas with BMW: paralever (assume full final drive overhaul/replacement after 60tkm), telelever: not made for the load (built a custom one). 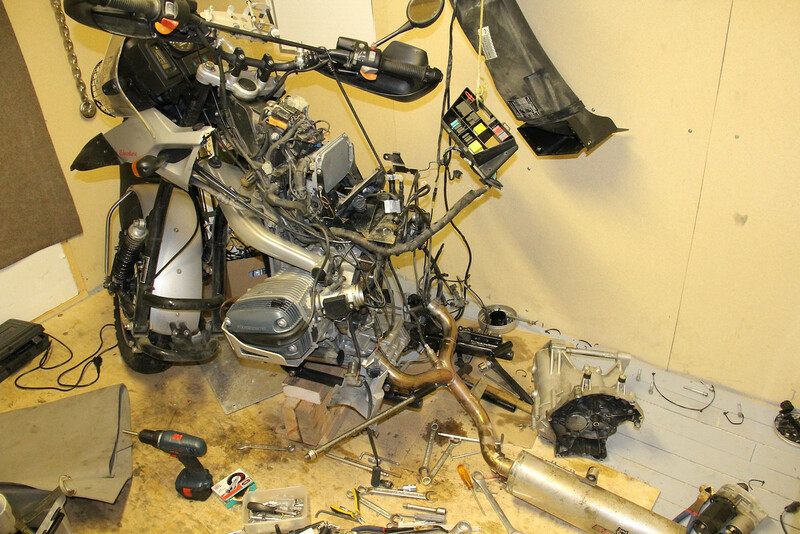 BMW HES, gearbox, starter motor were other trouble makers. Sidecar and boat were great, no issues. I prefer shaft over chain, but no paralever. 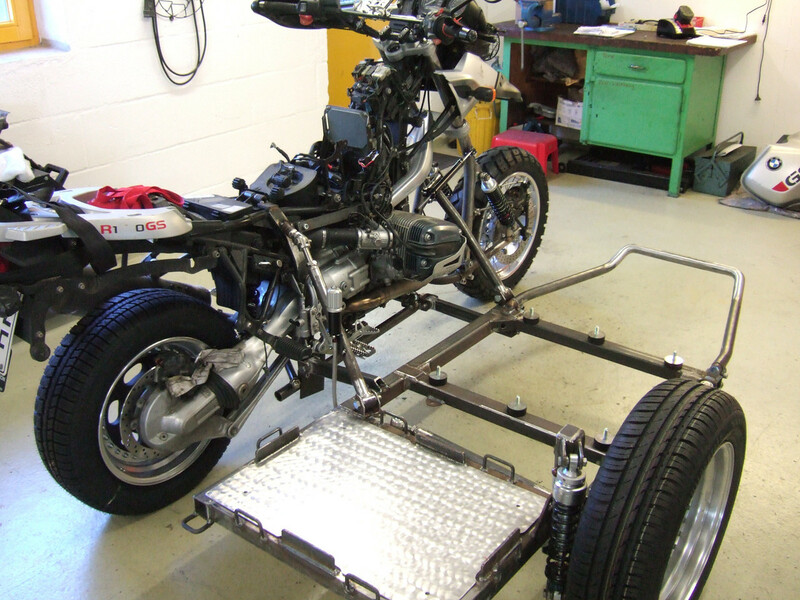 See construction of Ural, old BMWs, Honda?, Guzzi?